Bad news for kids in sports: Participation rates are in a decline. (But there’s hope, thanks to PHIT.) And there’s good news for developers looking to attract fitness-minded folk in D.C. and for travelers looking to squeeze in some workouts. Both Self magazine and Men’s Journal reported on a survey of next year’s top trends, as ranked by thousands of fitness professionals. The American College of Sports Medicine conducted the survey which collected responses from 2,038 professionals throughout the world, who were asked to rank 39 possible trends. The survey found that some trends have fallen off the list, such as circuit weight training, sport-specific training, and core training. 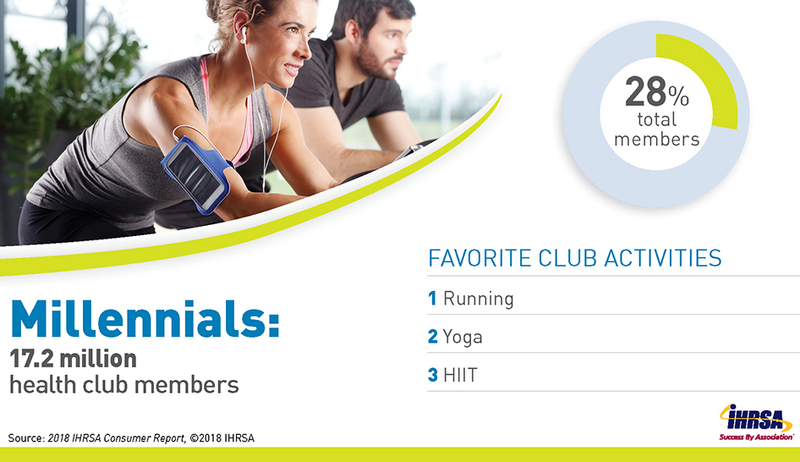 The top five trends—which align with findings from the 2018 IHRSA Health Club Consumer Report—include bodyweight training, cited for its convenience and low price-point; fitness programs for older adults, especially as the population grows older; HIIT, touted for its flexible and effective workouts; and group training, defined as a class with more than five people. Fitness trackers took the top spot, moving up from number three in last year’s survey. Check out more fitness predictions for 2019. How the Boutique Boom Is Transforming D.C.
Read about the D.C. boutique boom. The participation rate in youth sports has dropped to 23.9% in 2017 from 28.7% in 2011, according to a report by the Sports & Fitness Industry Association and the Aspen Institute. The same study shows an overall increase in kids’ activity levels, but not at the recommended level that high-calorie-burning sports provide. Two factors behind this decline can be attributed to inexperienced volunteer coaches, with only about 35% properly trained, and the exorbitant fees some youth sports costs guardians. Accessibility to youth sports narrows in households that earn less than $100,000 a year, the report found, due to a hypercompetitive focus on winning at all costs, which eventually prices out some kids. “It’s really a story of the haves and have-nots in youth sports in America,” said Bob Bigelow, a former NBA player and youth sports advocate. On a positive note, more kids are participating in several sports at once, and flag football is outpacing tackle football. Read more about youth sports in America and how PHIT can help. Callum Melly, a fitness industry expert, writes in Forbes how the demand for health-centric hotels is growing as more and more “fitness fanatics” travel for work. But, he said, many hotels fall behind on expectations. “If there is one thing I have learned upon my travels as a fitness junkie, it’s to never trust the hotels self proclaimed review of their fitness facilities and as much as photography should be an integral part of the hotels website, always do your own research or be faced with a prehistoric treadmill and some rusty dumbbells limited to 10kg,” he said. If the hotels amenities fall short, Melly suggests to pay out a daily fee for a local gym, which could cost hundreds. One hotel that met Melly’s expectations was W Hotel Barcelona, which puts fitness at the heart of its business model, with up-to-date equipment, 24/7 access, and classes. However, if Melly belonged to a gym that participated in the IHRSA Passport Program, powered by TrainAway, he could access a global network of IHRSA gyms at a discounted day-pass rate. In 2019, the Passport Program is going digital through the TrainAway app, which will make it even easier for participating IHRSA gym members to access other IHRSA clubs throughout the world. But first, you need to enroll. Read more on Callum Melly’s trips and how you can use the IHRSA Passport Program. Cozy egg chairs at Nap York Wellness Center. 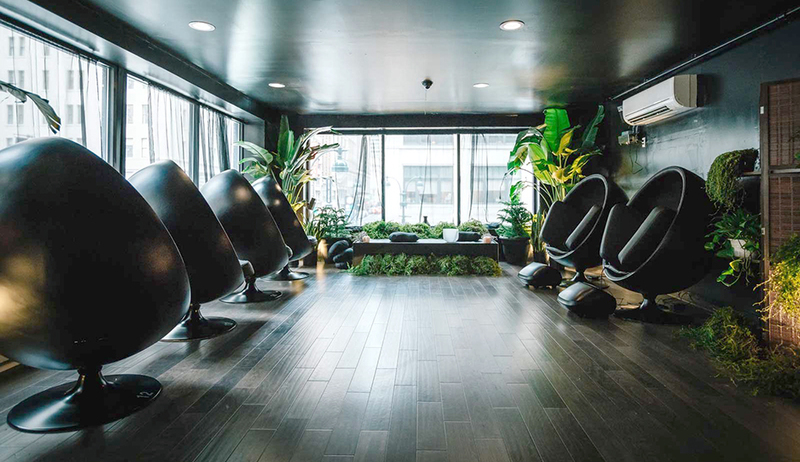 The Nap York Wellness Center, a new boutique in the heart of New York City, is offering amenities all about recovery, relaxation, and rejuvenation. The studio is open 24 hours and has a flexible payment plan, with either a pay-per-use or membership plan. Visitors can unwind by attending a yoga class, finding the right headspace with meditation, ordering a simple, healthy snack at a cafe, or take a nap on a comfortable, clean mattress. During the winter months, a fireplace is lit to keep visitors toasty. This high-end relaxation center caters to travelers with luggage storage, steam services, and a shuttle (in a Tesla) to nearby airports. Read about Nap York in the November issue of CBI.